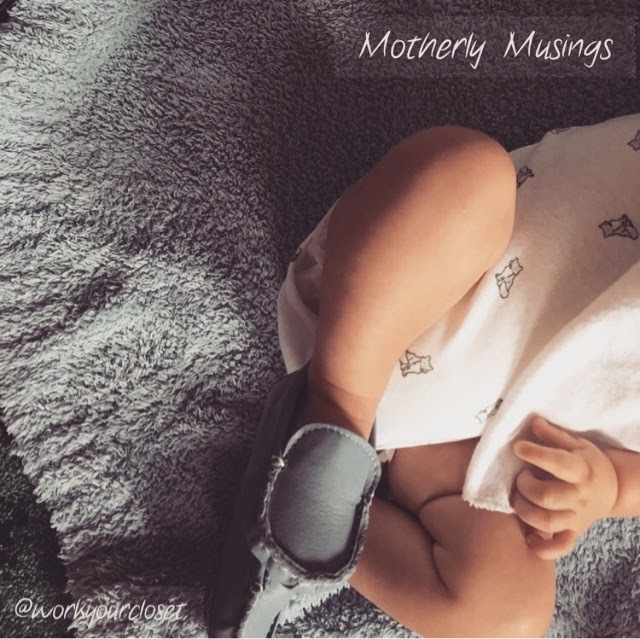 Babies wearing shoes are the cutest thing. Especially leather loafers. Fitting into your old jeans is such an amazing feeling. Doing it the healthy way and not by a certain time frame is even better. Outfit posts are coming back, ya’ll! I think I hear him on the monitor all the time. Even when he’s not in his room. Having to sneeze when you need to pee. Not a good mix. Every morning he looks that much bigger and older. Crazy. Acting like a fool to hear that little giggle one. more. time. When they have your finger and you literally can’t move. Feel like you’re Wonder Woman when you finally get a good amount of breast milk in the freezer. Heck yes! The fear of clipping their nails is out the window. Filing everyday isn’t doing it. Witching hour(s) are a total thing. Hudson’s is from 5-9. Yayyyy! Not getting mad when your baby wants to chat at 4am because his smiling face is too darn cute. When you bounce all the time – even when you’re not holding your kid.